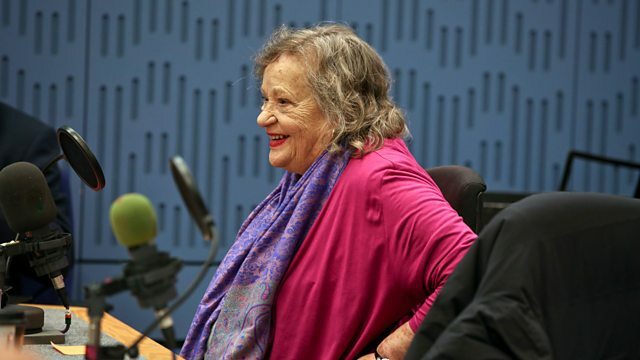 Clive Anderson and Nikki Bedi are joined by Sylvia Syms, Mark Thomas, Kimberley Chambers and Mitu Misra for an eclectic mix of conversation, music and comedy. With music from Oumou Sangare and Julia Biel. 'Together' is in cinemas in February. ‘Ice Cold in Alex’ is being screened at the Glasgow Film Festival on 22nd February and released on DVD on 19th February. 'Lies We Tell' is in cinemas from Friday 2nd February. 'Showtime From The Frontline' is touring until 21st April. It's at Red Brick, Glastonbury on Monday 5th, Phoenix, Exeter on Tuesday 6th and Playhouse, Norwich on Thursday 8th February. 'Life of Crime' is published by Harper Collins and is available now. ‘Mogoya’ is available now on Nø Førmat. 'Julia Biel' is available on 9th February on Rokit Records / Khanti Records. Julia's performing at Streatham Space Project, London on 7th June.